Woo! After a two week blog hiatus, I am back with some fresh content! 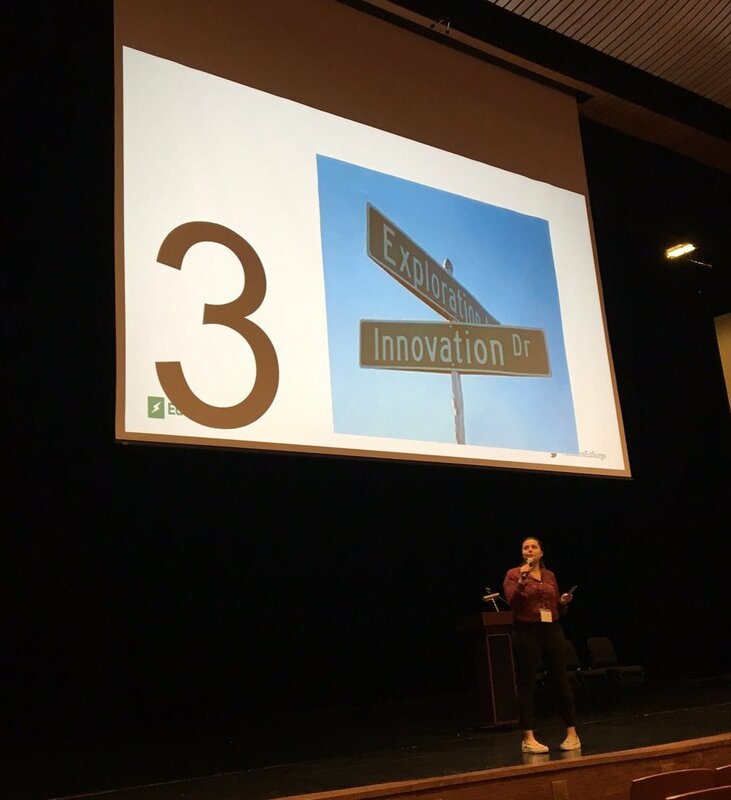 Last week-end was the #EdSurge Technology Summit at AISD's Performing Arts Center. Yours truly had the opportunity to create an ''Ignite'' talk. It's a very specific (and rigid) presentation format which is composed of 20 slides, all moving at a 15-seconds pace and you have no control over those slides during said presentation. I have to admit, it was quite the challenge for a ''natural'' public speaker like me. I rarely rehearse my talks and generally have more than 5 minutes total to get my point across while keeping my audience engaged. You know me, I can never say no to a good challenge. Technology in the World Language Classroom: A Beginner's Guide.